My son currently does not have a closet as I use the closet in the hall of his room as my own since I have a one bedroom apartment and share the living room space as my bedroom. The closet in the living room is used as storage. This has never been an issue before as I used my son’s captain bed and dresser to store all of his clothes with more than enough space. However, I am currently redoing his bedroom and opted to get rid of the captain bed for a loft bed. And I no longer wanted to use a dresser for him. When his clothes are packed away into drawers he will choose whatever is on top and wear the same thing over and over again. To avoid this I wanted his clothing to be visible so that he can see everything and therefore wear everything. Definitely now since he will no longer be wearing a uniform to school. 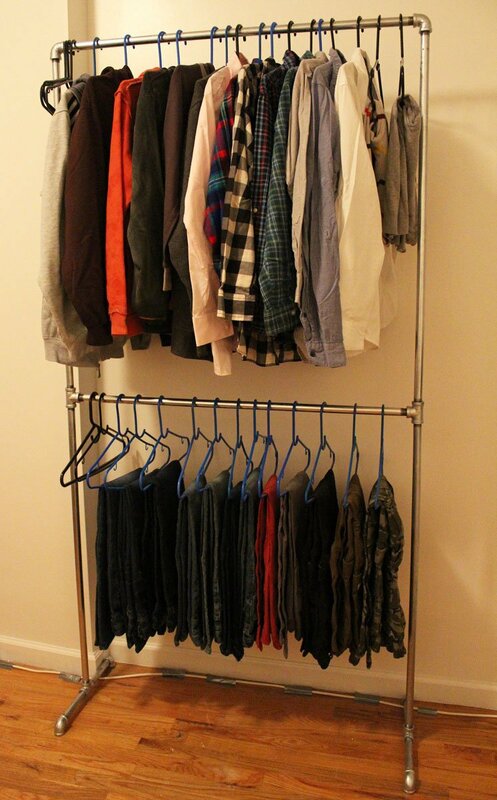 A wardrobe rack is the perfect solution, but a lot are made cheaply and fall apart. The good ones are extremely expensive. Sometimes costing a few hundred dollars. 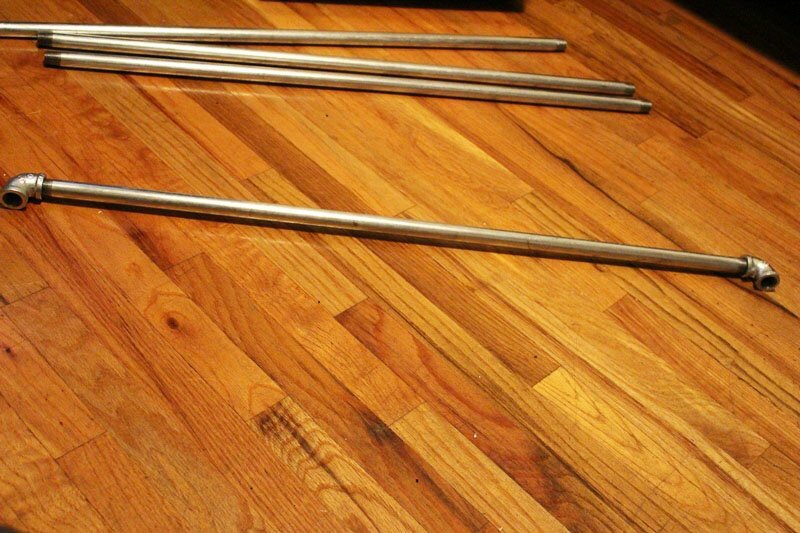 I decided to make a pipe clothing rack myself out of plumbing pipes. 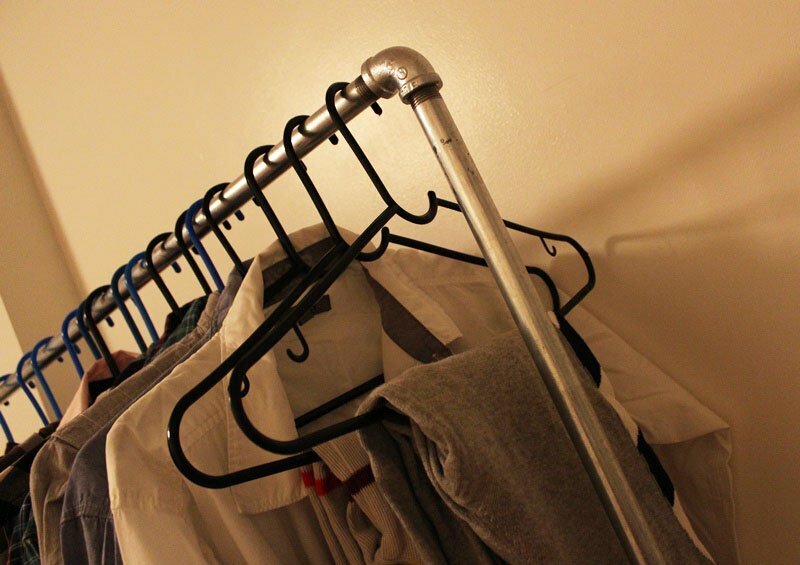 Pipes are perfect to use for clothing racks as they are very sturdy and will last a lifetime, you don’t have to worry about them breaking under the weight of the clothes. I decided on galvanized steel to avoid rusting and opted not to paint them as I like the rugged look of the steel. To ensure that he had enough space I decided to make it a two tier rack. 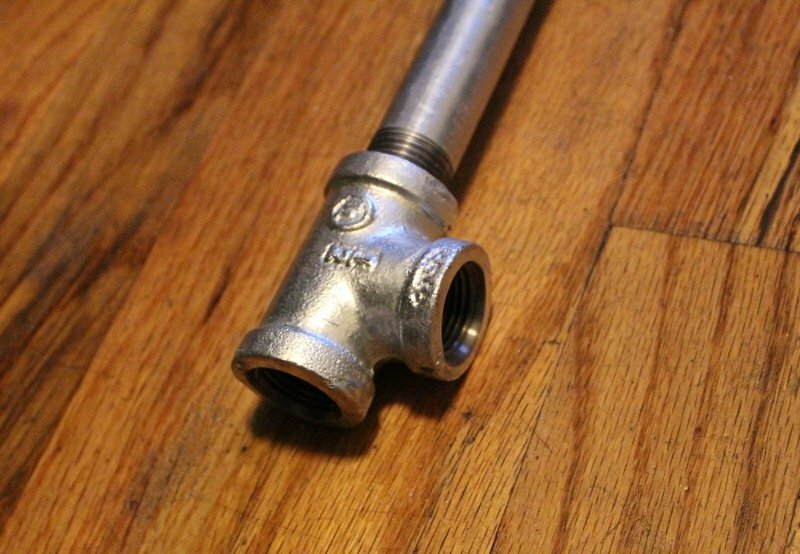 This was a simple project for the most part as you’re simply screwing together pipes with fittings and the materials can be found at your local hardware store that carries plumbing supplies. I was able to get everything that I needed from Home Depot. But you can also find all of these items on Amazon. 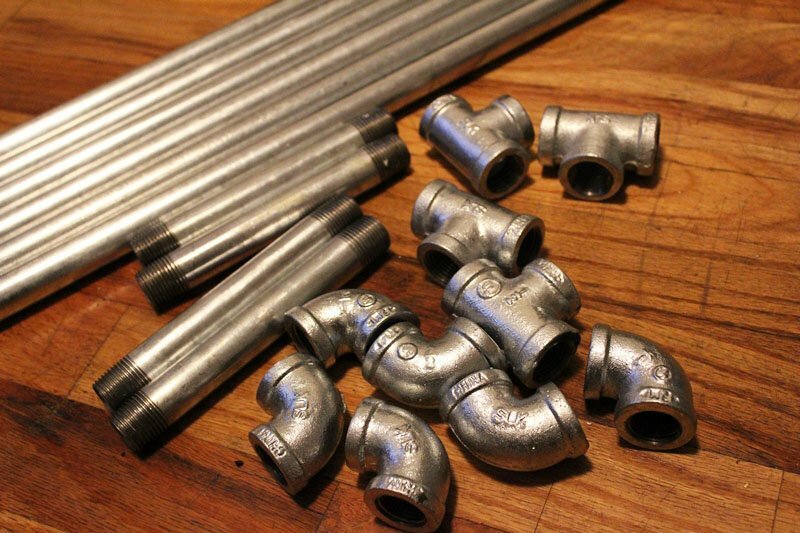 It’s important that you do a rough sketch of your design to ensure that you get everything that you need, and also that you get your pipes and fittings in the same size. I decided on a half inch. Everything will run you between $80-100 depending on where you purchase. Sounds steep but remember this will last you for years, maybe even forever with good care. Remove all stickers from the pipes. This may be a bit difficult, I used a paint scraper to make it easier. The pipes will be covered in some kind of grease from the threading machine. You do not want this stuff on your clothes so the next step is very important! 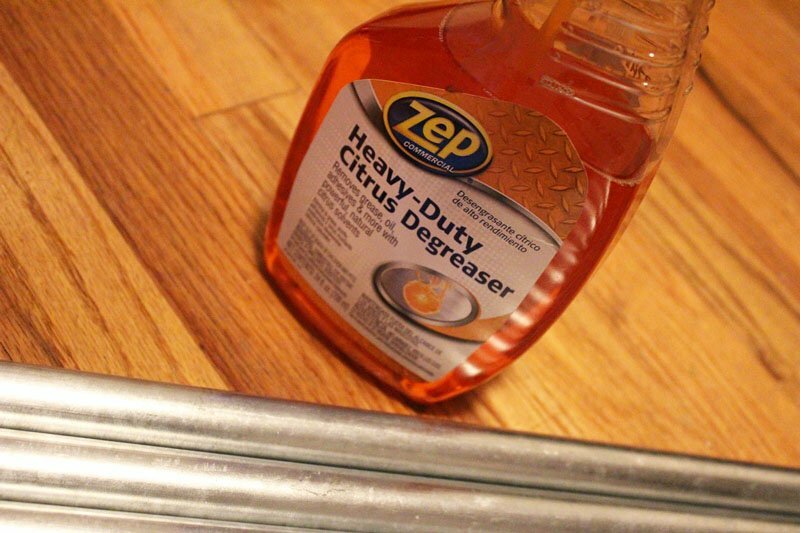 Spray the pipes down with a degreaser to remove the grease and any stuck on adhesive. I used this degreaser. Then give them a scrub with some steel wool pads to smooth them out and shine them up. You may want to repeat the degreaser step again before you rinse and dry. I noticed the grease was still coming off on my hands while I was screwing everything together. So I had to wipe the pipes down again post assembly. 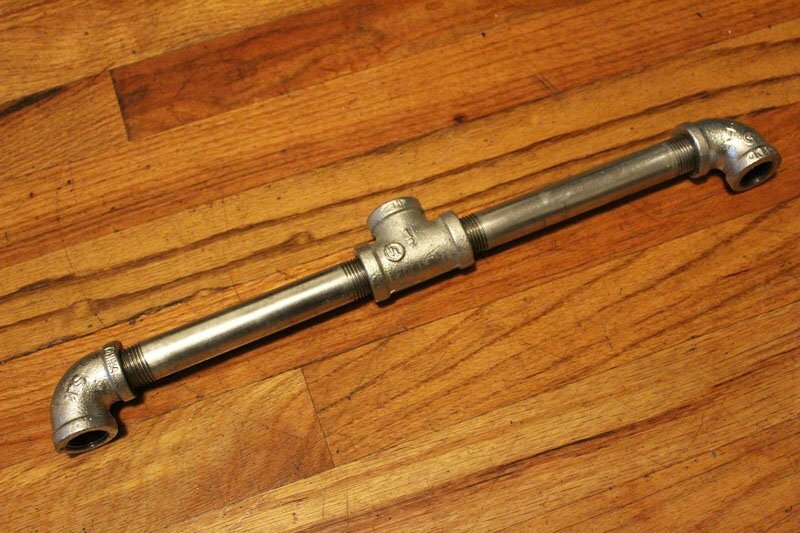 Also, make sure you allow the pipes a good amount of time to dry thoroughly before beginning assembly. 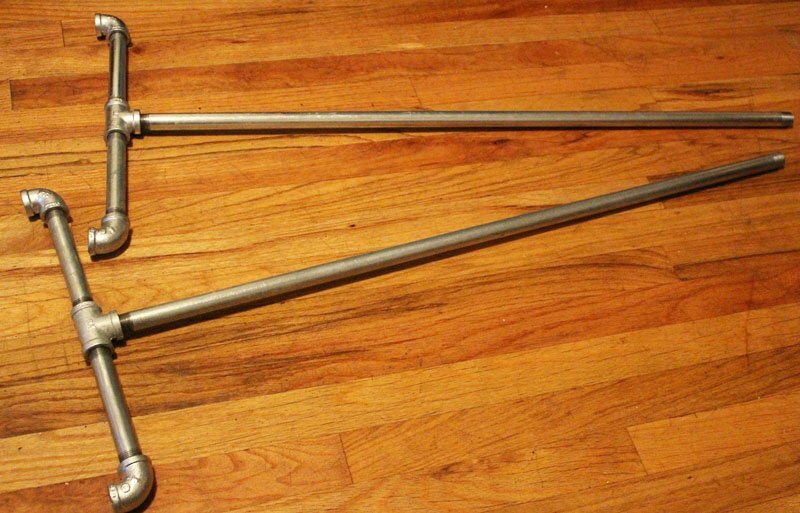 Now it’s time to attach the center bar which is a little troublesome. It is impossible to get both screwed in completely since you have to twist the top bar and middle bars in opposite directions to attach. After screwing and unscrewing everything for almost a half hour, I realized that the best way to tighten both bars is to leave the top bar slightly loose while screwing in one side of the middle bar. Then screw in the opposite side of the middle bar slightly. This will also slightly loosen the first side that you screwed in. 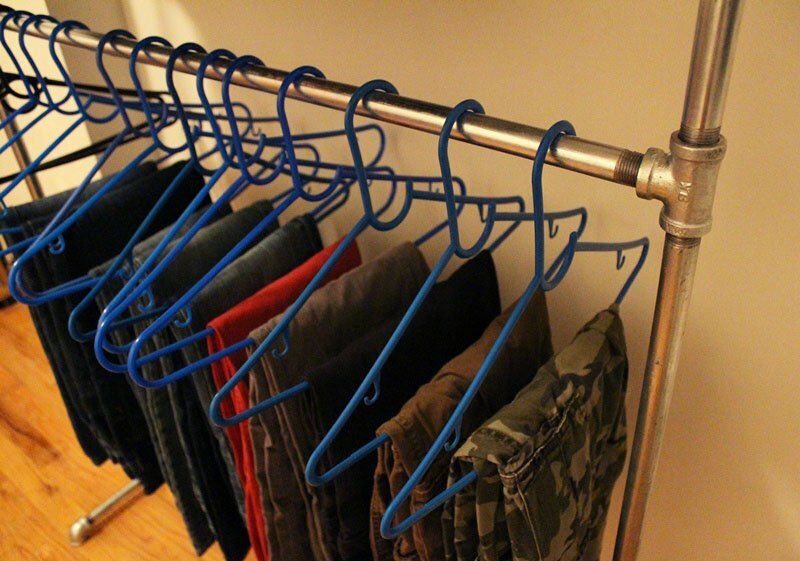 I’m going to get my son some slim velvet hangers like the ones that I use so that I can hang the rest of his shirts without destroying the shoulders and have more space. 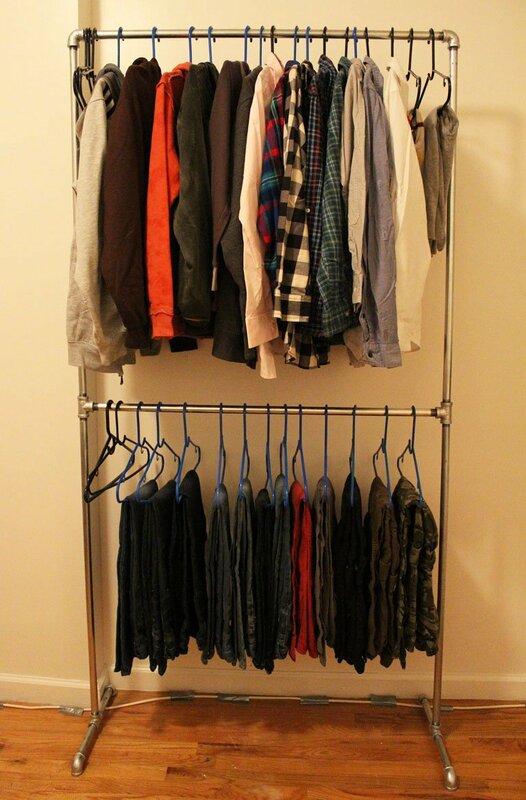 I also plan to put up a shelving unit right beside the rack for his folded t shirts. And add fabric draw inserts for socks, underclothing, ties, belts etc. We will store shoes lined up under the unit as there is plenty of room. I may even put a one tier shoe rack. After loading the rack, I leaned and pulled on the bottom bar. And moved everything back and forth a few times to check stability. No issues. I also tugged on the shirts on the top bar, and tried pulling them forward. I did this to ensure that the unit wouldn’t fall over. No issues here either. The unit sways slightly when moving stuff around due to the height. 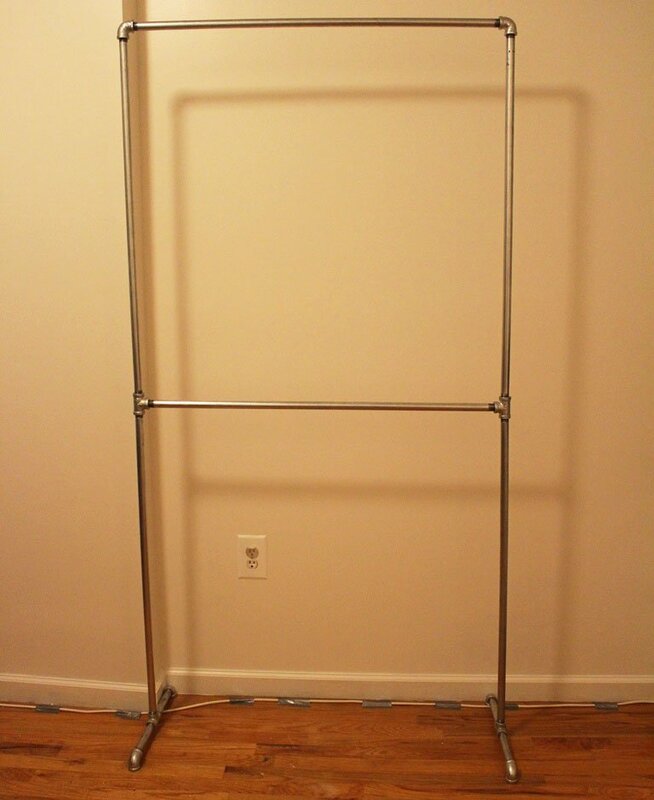 But the pipe clothing rack overall very sturdy and does not wobble or lean. I have no problem with getting stuff down from the top shelf. And my son is just a few inches shorter than I am so he shouldn’t have any problems either. I am extremely happy with the outcome of my first DIY Home Project. Can’t wait to create some more DIY options for my apartment! I just printed this. This is a great DIY project and I could see the kids actually having fun doing it. Thanks girl!! Hi. I’ve been following your blog for a while now. After I had my baby I was kinda stuck in a style and makeup rut. Your blog has helped. I’m nigerian(live in Nigeria too) so the skin color has helped me relate in makeup terms. First time I’m commenting though. Keep up the good work. Yours is the best blog I’ve read cos you are explicit. By the way you look like fantasia the musician. 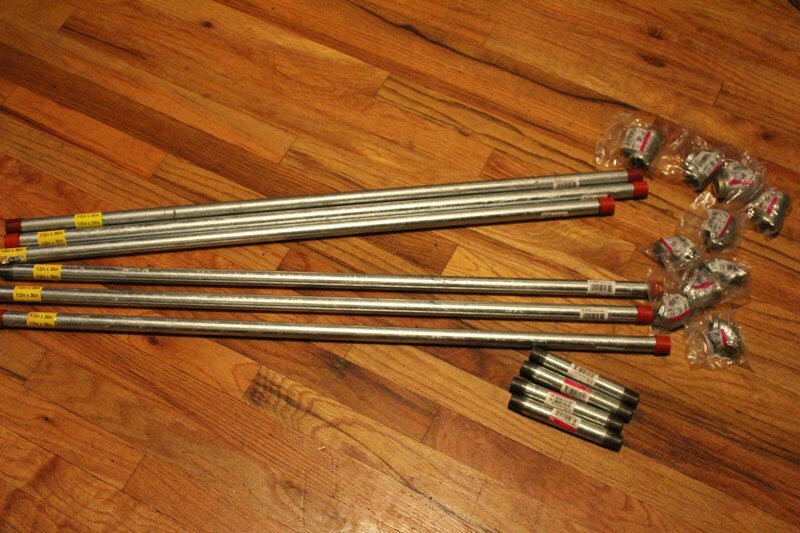 This is one of the best DIY projects I’ve ever come across – and I troll fanatically! Your instructions are fabulous, making this ADHD chick believe I really can do this. Thank you! 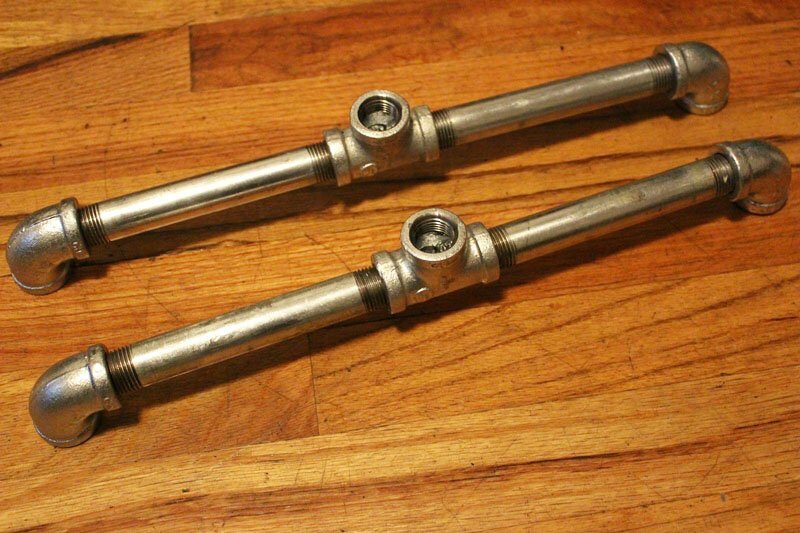 where did u buy those pre cut pipes? How much did all the piping cost? GREAT idea! As stated in the post, everything cost btwn $80 and $100! Still so confused about how to get the horizontal bar to screw in between the two vertical bars? Is there a different way you can explain it? I don’t know how else to explain it. 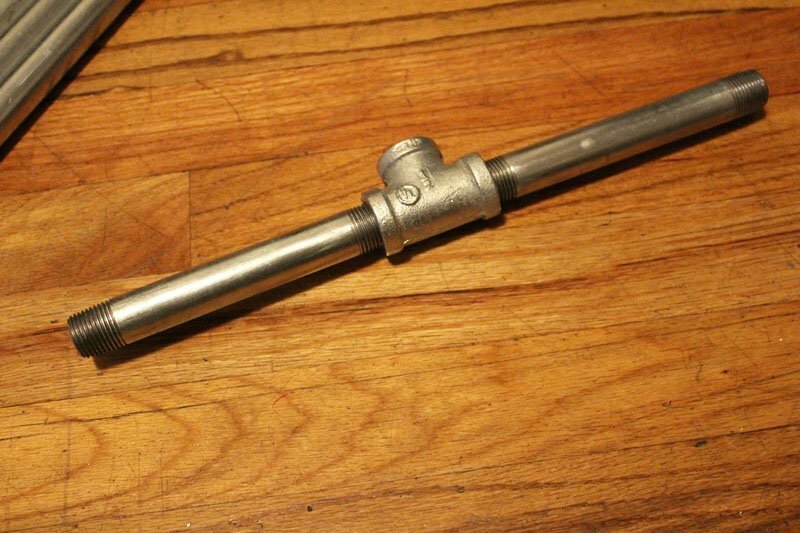 It’s probably easier to get the shorter pipes and connector piece as suggested. I’ve been looking at options for my daughters’ room which has no closet. We thought dressers would do the trick, but 2 teenage girls have too much clothing and all of the digging in drawers just equals huge piles of clothing all over their floor. This will be perfect! I’m putting it in a corner so I think I’ll do one side just like this rack and the other side as a single rack for dresses and other longer things. Thank you so much! Thank you so much for the fantastic tutorial! Thank you so much for this post! My dad and I just got all the materials to build this for my new room. 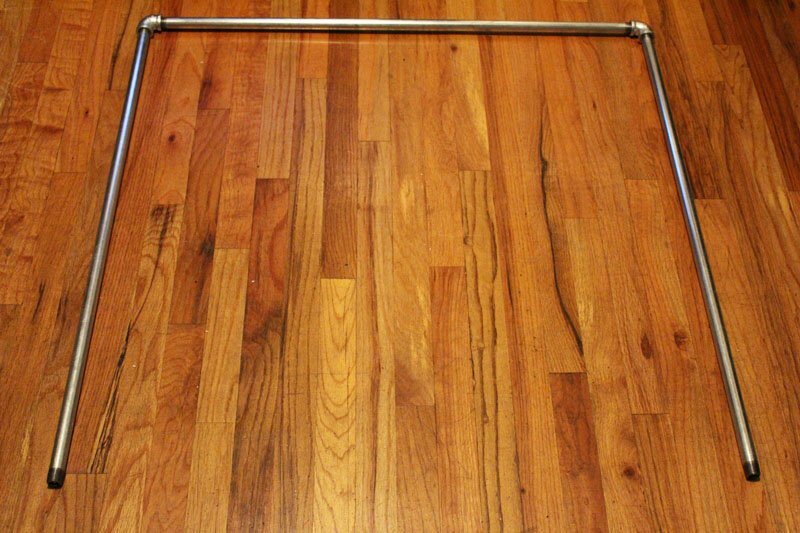 So excited for a snazzy, metal, easy DIY “closet”! You’re welcome. Enjoy your new closet! Thank you. Any ideas on converting small room into walk in closet system? I completed the clothes rack and it was just what I needed. I put all info in the post. I’m not sure exactly how much it holds in weight, but it holds a lot. Did you notice after it sitting on your wood floor with clothes did it leave indents? No, I haven’t noticed any indents. No, but it doesn’t move. You can put protective padding on the bottom to protect your floors though. Hi! I’m looking to do something similar in my closet using similar dimensions. I see you did this several years ago. Have you noticed the pipe sagging over time? 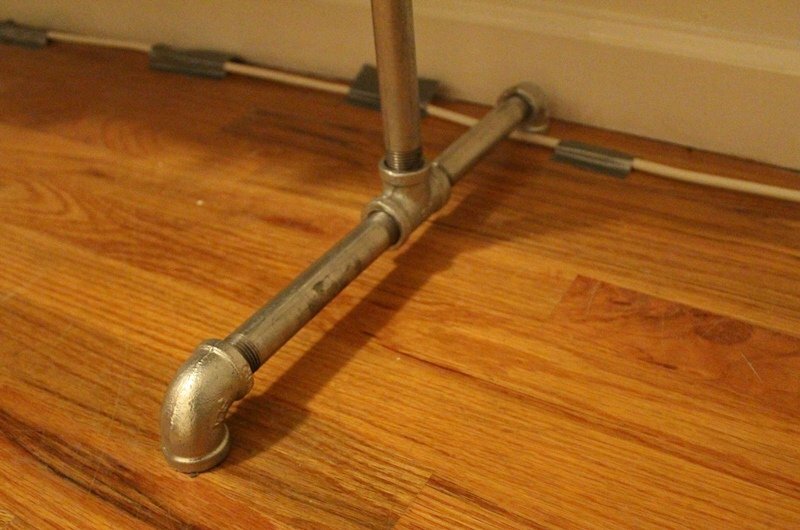 Someone expressed concern using 1/2 inch pipe but it seems really sturdy to me. Nope, no sagging. Still standing strong!